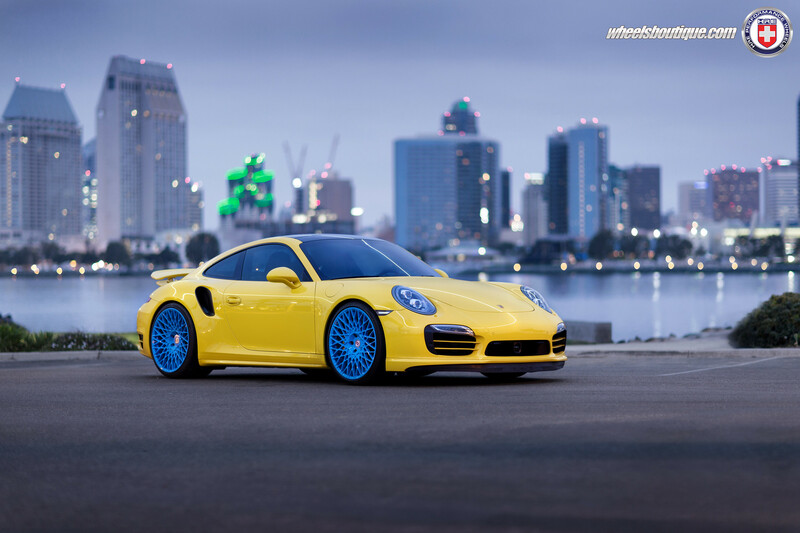 McLaren Life > McLaren Community Forum > Media Gallery > WheelsBoutique - Blue and Yellow 991 Turbo S. Hell yeah!! 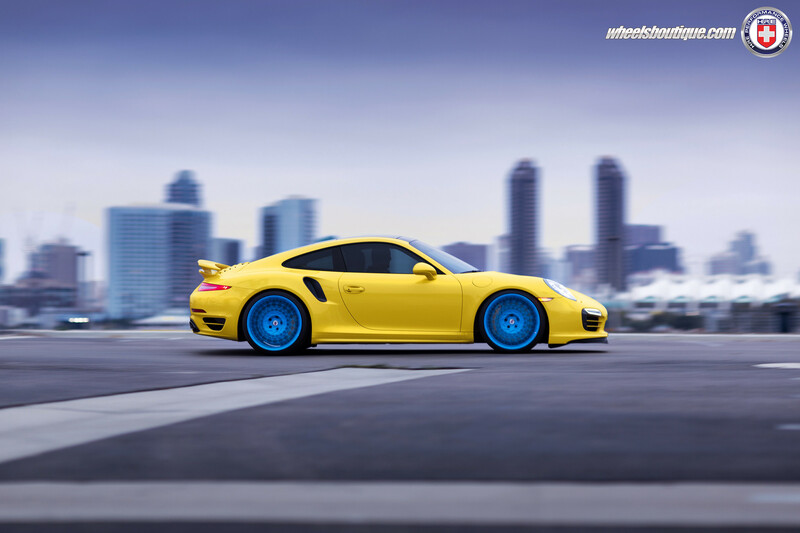 Love it or hate it, the owner of this amazing Porsche 911 Turbo S has accomplished exactly what he intended. And that was to make everyone who sees his machine talk about it, good or bad. He chose HRE vintage wheels that were developed to be unique, fit modern larger brake configurations and harken back to HRE designs that could never be forgotten. The HRE 501M is the most iconic and in 21x9.5 and 21x12.5 it certainly does the trick on this P-car. Paired with wider Pirelli P Zero tires they will certainly improve the already amazing ability of the Turbo S' traction and handling capabilities. 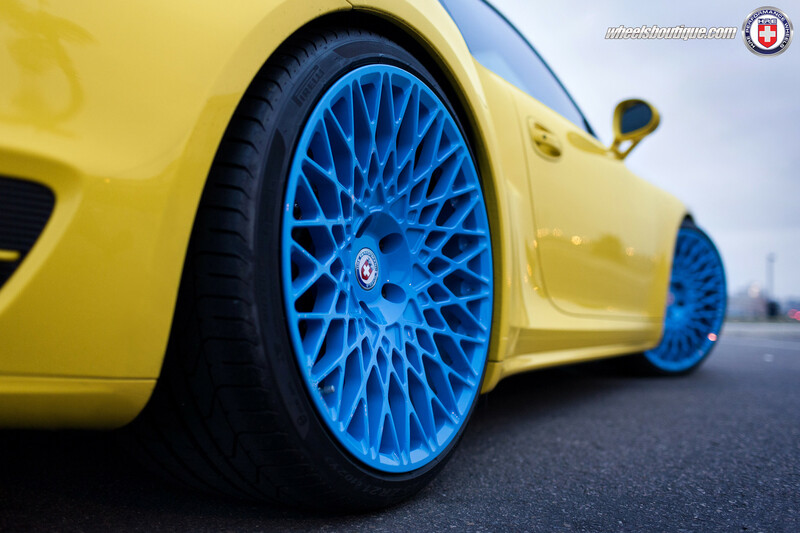 As far as the finish goes, "Tajima" pastel blue was chosen for reaction against the yellow, and they do just that! As always, hit us with your thoughts and opinions. I am not loving it. Do a blue roof to match and completely f--k it up!